Light the fake fireplace; it’s the Olympics! A lot of skating has happened already, and it’s about time we take a serious and reasoned look at these humble athletes and their tasteful clothing. KAVAGUTI and SMIRNOV, ZHANG and ZHANG, DENNEY and BARRETT, EVORA and LADWIG, SHEN and ZHAO, PANG and TONG, SAVCHENKO and SZOLKOWY, MUKHORTOVA and TRANKOV, KAVAGUTI and SMIRNOV, ZHANG and ZHANG, DENNEY and BARRETT, EVORA and LADWIG, SHEN and ZHAO, PANG and TONG, SAVCHENKO and SZOLKOWY, and MUKHORTOVA and TRANKOV. Shen and Zhao not skating. Evgeni Plushenko, Evan Lysacek, Daisuke Takahashi, Johnny Weir, Patrick Chan, Stephane Lambiel, Nobunari Oda, Jeremy Abbott, Tomáš Verner, Kevin Van Der Perren, Brian Joubert, Florent Amodio, and Denis Ten. This entry was posted in Podcast on 2010-02-21 by epicdeer. 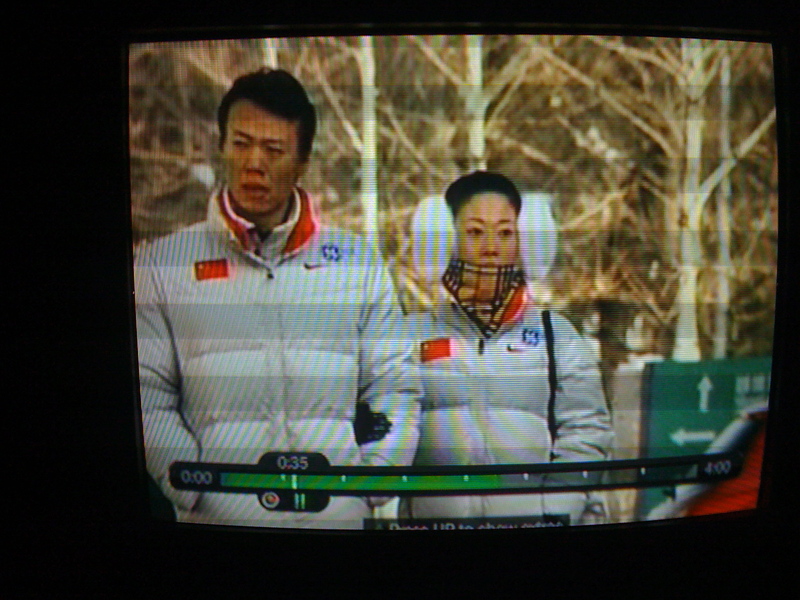 Shen Xue’s “muffs” are probably the best figure skater accessory I have ever seen. As with other figure skating champions, I assume she is headed to Hollywood to play the Chinese Princess Leia in Ang Lee’s Star Wars remake. Help me Vera Wang, you’re my only hope!